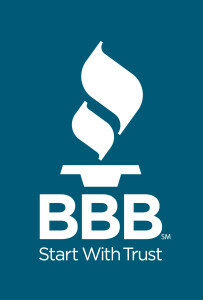 I have recently become a member of the board of the Ottawa Better Business Bureau (BBB). Not only did I always strive to comply with BBB’s mission, I am now proud to say that I am a board member tasked with helping other businesses adopt BBB’s mission and vision. • To create an ethical marketplace where buyers and sellers can trust each other. I now have a great responsibility to the citizens of Ottawa, and I can help guide other business owners in how to implement honest and transparent business practices for their customers. Appointing the Chair of the Board of Directors. Approve the Terms of Reference of the Nominating Committee. Approving the terms of reference of the Executive Committee and such other committees as may be established from time to time. Approving the terms of reference of the Bureau Manager as recommended by the Executive Committee. Approving Bureau Policy as put forward by the Executive Committee from time to time. Confirming the goals and objectives of the organization as put forward by the Executive Committee from time to time. Receiving and approving attainment reports for the organization as put forward by the Executive Committee from time to time, but at least annually. Receive a summary of the evaluation of the Bureau Manager performed by the Board Chairman annually. Enact such banking and borrowing by-laws as might reasonably be required to manage the day to day operations of the Bureau. Ensuring the affairs of the Bureau are managed in a business-like and prudent fashion. As always, you can trust that GPS to Go follows the guidelines outlined by the BBB’s Code of Business Practices in all we do with Ottawa GPS fleet tracking.